Transformers: The Last Knight Gets 4K UHD Release! 5-Movie Collection Coming! Michael Bay’s (allegedly) final entry in the Transformers series, Transformers: The Last Knight will be released in 4K UHD, Blu-ray and Blu-ray 3D™ Combo Pack. The Transformers movie with the unique Arthurian slant will arrive in all formats on September 26th – with the DigitalHD release date set for September 12th. A Transformers 5-movie Blu-ray package will also be released on September 26th. Transformers: The Last Knight Is Not a Good Night! Mark Wahlberg plays Cade Yeager in TRANSFORMERS: THE LAST KNIGHT, from Paramount Pictures. Transformers: The Last Night is either action or exposition and on so many fronts it has trouble keeping itself straight – let alone letting the audience do so. I’m going to be completely upfront here: my inner 12-year old was bored; my outer 65-year couldn’t doze off because the movie was too loud, and I finished my big drink with more than half-an-hour left before the closing credits (and a rather unintriguing tag) began to roll. The Final Battle Is Upon Us Trailer: Transformers: The Last Knight! Director/Executive Producer Michael Bay on the set of TRANSFORMERS: THE LAST KNIGHT, from Paramount Pictures. Michael Bay says this will be his last Transformers film as a director and the new international trailer looks like he threw in everything including the kitchen sink. Transformers: The Last Knight opens on June 21st. Unlock the Past Trailer: Transformers: The Last Knight! There’s lots of new footage and information in the new international trailer for Transformers: The Last Knight. Plus a Transformers kidnapping! Transformers opens on June 21st. Wrong Optimus Trailer: Transformers: The Last Knight! The first Transformers movie to come out an actual writers’ room looks to be a fusion of legend, myth and twin universes. Transformers: The Last Knight opens on June 23rd. Love Makes You Do the Wacky Trailer: Collide! Casey has to come up with the cash for his girlfriend’s medical procedure – which puts him in the crosshairs of someone he used to work for – and cheating to come up with the money. Collide stars Nichola Hoult, Felicity Jones, Ben Kingsley and Anthony Hopkins. It opens on February 24th. The trailer follows the break. Homicide detectives Joe Merriwether and Katherine Cowles have a tough case – three murders that are precise, clean and entirely evidence free – so Joe asks his old friend, Dr. John Clancy, to help. John has been in seclusion since his daughter died of leukemia and is less than thrilled to be asked back – even balking after a revelation on a fourth murder. Not Friends At All Trailer: Westworld! 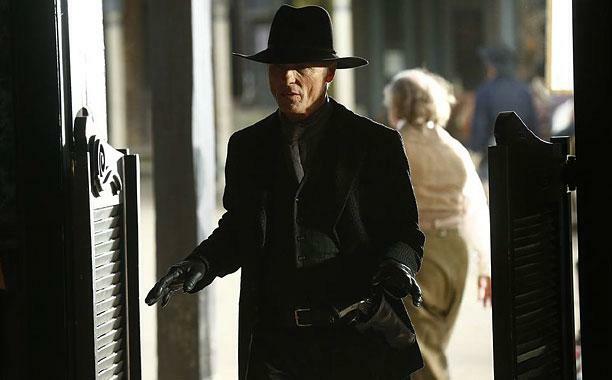 HBO’s long-awaited sci-fi series Westworld makes it debut on Sunday, October 2nd (9/8C). Set in a theme park where guests can enjoy the life of the Old West (as Westworld’s creators have designed it, at least) – until as the ads for the original movie put it, something goes worng. There’s a new trailer for Westworld – a much deeper look into the series than we’ve seen so far. Check it out after the jump. Starz Presents McKellen & Hopkins in The Dresser! Ian McKellen plays Norman, the hard-pressed dresser for Anthony Hopkins’ Sir in the Starz presentation, The Dresser. During a Nazi bombing, a small theatre company is about to live up to the old saying, the show must go on, with their nightly performance of King Lear. Only Sir, their Lear has wandered off – leaving his dresser, Norman, in a bit of a quandry because even if Sir arrives in time to go on, he might not be all there. The Dresser premieres on Starz on Maonday, May 30th (9/8C). For more, follow the jump. The Dresser: Starz’s First TV Movie To Premiere In May! Ian McKellen and Anthony Hopkins star in Starz’s first made for television movie, The Dresser – which tells the story of one fateful night, backstage in a small regional theatre during World War II as a troupe of touring actors stages a production of Shakespeare’s King Lear. The Dresser will premiere on Monday, May 30th (9/8C). Check out the new trailer following the jump. HBO has released the first teaser for Westworld and it is super creepy. Check it out after jump. Westworld – where nothing can go worng. Coming to HBO in 2016.